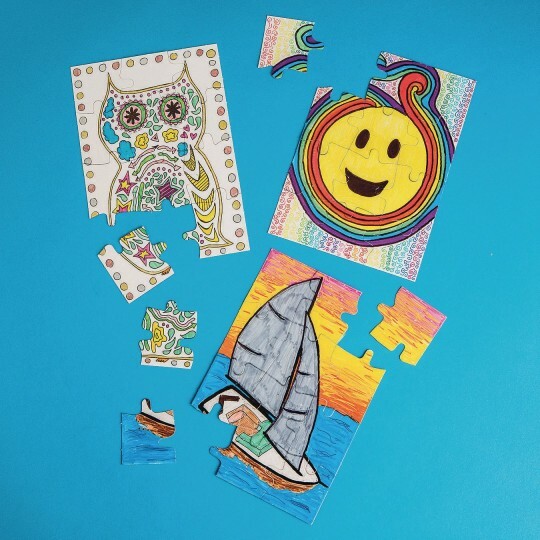 Create Any Puzzle- Let Your Creativity Flow! Finished project measures 5-1/2" x 8"
Children can draw and color on these blank 12-piece puzzles, then take them apart to assemble again and again. 5-1/2" x 8". 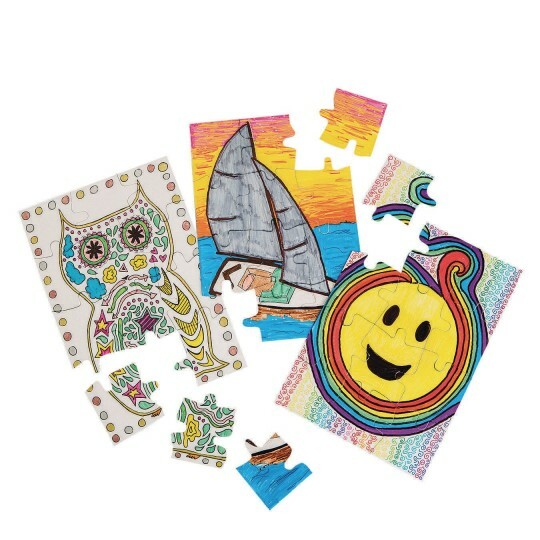 These puzzles are so fun and great for teaching kids about creating art that includes a full scene! The fact that they can continue the fun by remakign their pouzzle after they draw on it is an added bonus. My grandchildren love to color and to do puzzles and this activity combined their favorite things to do! They used permanent markers to create their artwork and then shared with each other taking turns to do each other's puzzles. I use these for an 8th grade art design project. They work great and are the right size for my project. Fun to use for many different themes. We used this product to create stories for a college narrative reasoning class. It was a great introduction and story starter. These are great for coloring any number of things.